Thank you for choosing to download the Task Manager 20|20™ Free Trial! * The trial version has all of the features that the full version has. You may use it FREE for up to a maximum of 45 days. During that time you may choose to register it and keep all of your existing data. Scroll down to get the download. 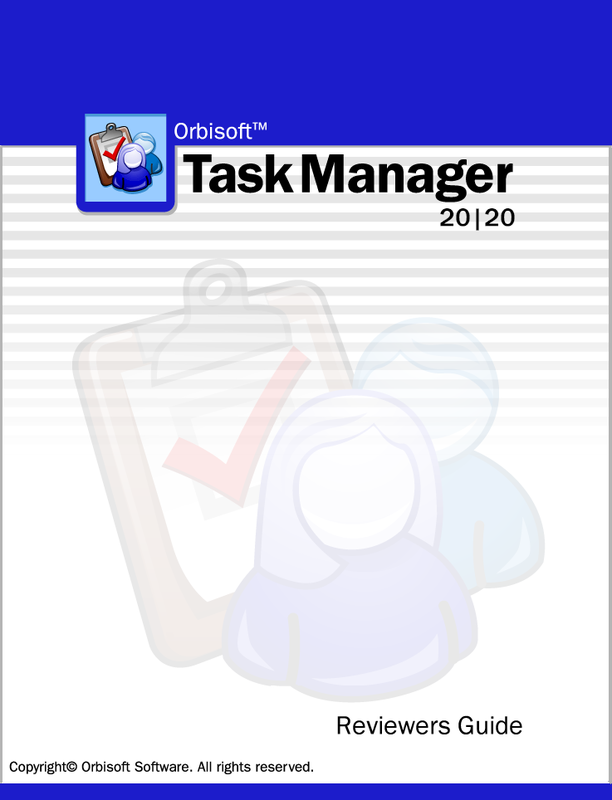 Be sure to download the free, Task Manager 20|20 User Manual. Take a quick walk-through of Task Manager 20|20 features and functionality with the downloadable Task Manager 20|20 Reviewers Guide. * Required: Your registration information is for our registration purposes solely and will be treated as confidential, and will not be shared with or sold to any third parties.